Guitar Hero [iTunes link] is one of the most successful console franchises ever made, so naturally, it was only a matter of time before it made its way to the iPhone. 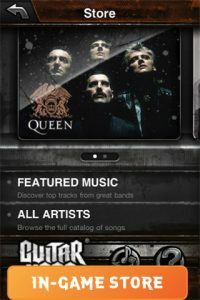 Announced yesterday at WWDC, Guitar Hero is now available to download on the app store. 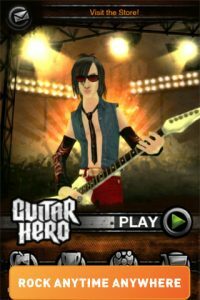 While other tap-to-the-rhythm games like Rock Band and Tap Tap Revenge have been available since early last year, Guitar Hero is the game that started it all. A cult hit, an entirely new genre of videogames were spawned in its wake. And it’s no surprise – Guitar Hero has amassed an incredible $2 billion in sales since its launch in 2005. 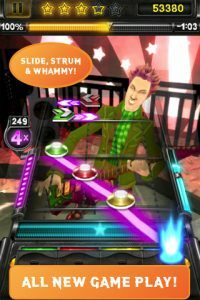 Developed by Vicarious Visions and Activision, all the familiar elements of the series are there – the scrolling fret board, the colored note gems – but Guitar Hero for iPhone as been reworked from the ground up for the mobile platform, and it shows. 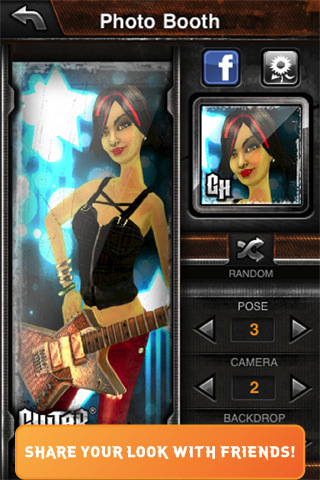 You can attempt each song with Guitar or Bass and choose from four difficulty levels. The song selection menu shows your star rating for each song, and once you complete a track you get access to additional stats including overall score, accuracy, streak and rank. 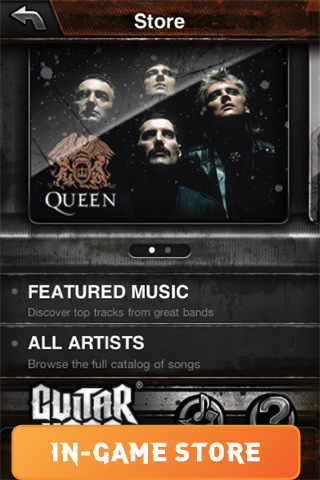 New tracks can be downloaded via the in-app store. There are six track packs available at the moment, which gets you three new songs, priced at $1.99 each. The gameplay in Guitar Hero is a lot more varied than the days of tap red, tap green, tap blue, repeat. There’s a whole bunch of different note types in Guitar Hero, and you’ve got to tap, strum and slide your way across the “note catcher” to get that elusive high score. Star Power is back, and thankfully, you don’t have to shake your device to enable it. Once you’ve built up enough star power, all you need to do is tap the blue bar that appears on the screen to double your multiplier and give you that extra boost to your score. Besides the tracks themselves, there’s a whole host of other game options and features in Guitar Hero that will extend gameplay and offer users replayability. 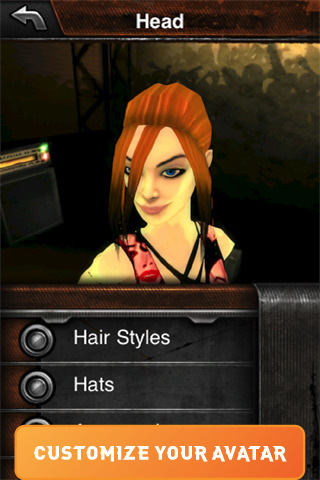 There’s a Backstage area where you can customize your own avatar and check out all your stats. A Challenges room lets you view your overall progress in the game, your “Rock Rank” as well as scope out rewards available for successfully completing in-game challenges. Guitar Hero for iPhone also features a Community tab with a leaderboard and Facebook connection for those all-important bragging rights. Bottom Line: A fun and addictive mobile edition of the much-loved Guitar Hero franchise.